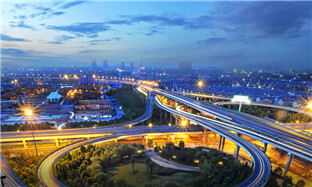 Dongyang city, Zhejiang province is rich in bamboo resources and has a long history of using bamboo in a variety of different ways. As early as the Shang Dynasty (1600-1046 BC), people in Dongyang started to explore how to weave bamboo strips to make farm tools and other items useful for daily life. 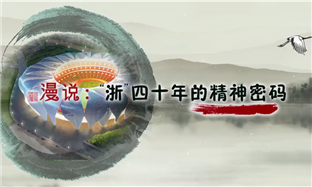 Over the centuries, bamboo weaving developed into a sophisticated and complex art form in Dongyang, and in 2008 the Chinese government recognized this by adding the craft of Dongyang Bamboo Weaving to its National Intangible Cultural Heritage list. 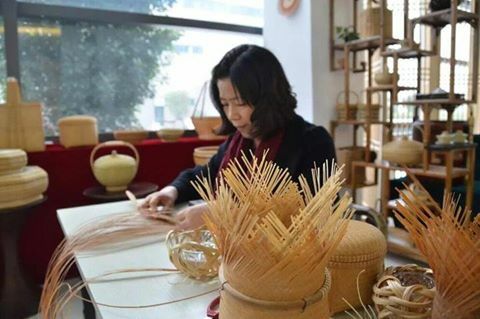 Cai Hongguang, a 40-year-old resident of Dongyang, is the youngest inheritor of the time-honored craft and has been weaving bamboo products for over 25 years. Cai has mastered all the procedures of bamboo weaving including cleaving bamboo strips, boiling to finalize the shape, dyeing, and polishing. Her works have been well acclaimed and won her many prizes.